When thinking about beer, data storage might not be the first thing that comes to mind. 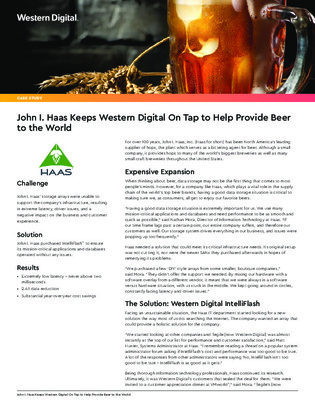 However, for a company like Haas, a leading supplier of hops, having a proper data storage situation is critical to making sure consumers around the world have access to their favorite beers. When Haas’ storage arrays were unable to support the company’s infrastructure, extreme latency, driver issues, and a negative impact on business threatened the production of beer. Inside this white paper, learn how Haas was able to ensure its mission-critical applications and databases operated without any issues, by installing fully redundant all flash arrays with no single point of failure.